Get very excited people of Melbourne, the legendary pioneer of rock, pop and new wave fusion, Prince, will perform at the Arts Centre Melbourne this February. The 57 year old singer-songwriter, multi-instrumentalist, and actor, Prince, will perform his Piano & A Microphone tour in Australia and New Zealand for 10 exclusive shows. 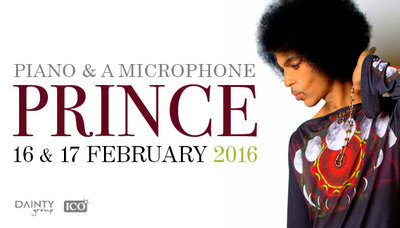 News just in, Prince will perform 4 shows at Arts Centre Melbourne's State Theatre on February 16 and 17. If you are one of the lucky few to get your hands on a golden ticket, you can expect to enjoy Prince perform selected songs from his impressive 39-album catalogue, including some rarely performed B-sides and brand new material. Want tickets? Of course you do! You'll have be on the ball, folks. Tickets are limited to two (2) tickets per person, and will go on sale at 12 noon AEDT on Tuesday February 9, 2016.